It’s awards and event season in the entertainment industry. There is plenty to talk about, especially when it’s the “talks” themselves that we are buzzing about. Earlier this month at the “Golden Globes,” actors Jonah Hill and Margot Robbie were put in the hot seat when the teleprompter wasn’t working. A month earlier, movie director Michael Bay found himself sans teleprompter assistance during a Samsung presentation at CES. In each situation, technology failed the speakers – leaving them struggling and panicking in front of a live audience around the world. Jonah and Margot handled the situation with honesty and poise – briefly explaining the delay/mix-up and how the teleprompter was out of order. Luckily, someone rushed from off stage and handed them paper notes to pull them through. Bay, on the other hand, had no back-up plan. His presentation was long, and it looked as if he hadn’t memorized even one line of his speech. Flummoxed, he at first attempted to “wing it” but ended up walking off the stage – frustrated and undeniably embarrassed. During the “Golden Globes,” co-host Tina Fey even mocked the CES incident. Public speaking is not easy for most people, and it definitely doesn’t help when the one thing you thought you could rely on (aka the teleprompter) goes completely out of whack. Confidence: You have been chosen as a speaker for a reason, so make sure that you exert confidence during your presentation. Be honest with your audience regarding any snafus, but don’t let that sway your speech by any means. Focus: Know your subject matter. Don’t go over the top with apologies for what you don’t have with you to present or what you do not know. Rather, focus on what you can in fact speak to and discuss that material with poise. Body Language: Stay upright. No crouching or nervous pacing. Open up and engage with your audience. Show enthusiasm! Keep Simple Notes: It is ok to have back up note cards to get through your presentation should electronics fail you. However, avoid using notes as a crutch. Remember, keywords work best as thought starters so that you don’t sound overly scripted or are stuck looking down at a paper throughout the entire speech. Rehearse: The best way to succeed at any task is to prepare for it. Rehearse your speech as much as you can — in front of the mirror and/or friends and colleagues. Knowing the material very well will calm nerves and give you some confidence so that very few unexpected interruptions or tech fails will rattle you. And last but not least… breathe deeply, take a sip of water, and face that fear! While CES 2012 has passed, the buzz still lingers. 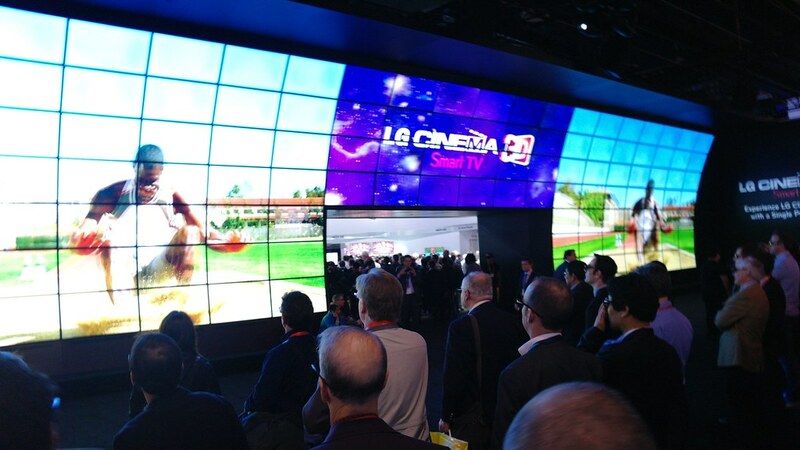 We bet there are a few of you still wondering how a consumer electronics show is significant to your business. Well, from everything we’re reading and hearing, CES’ content has evolved beyond the usual technology conference. Coverage and attendee insights suggest that CES has jumped on the content bandwagon with companies talking less about new devices and more about content consumption (something we can all benefit from knowing). Today, Mindshare’s Antony Young has a piece in Advertising Age about why CES is a must-attend event for marketing execs. Young compares attending CES to that of attending a live football game—in both cases, the experience and perspective gained from being there are significantly better than from the couch or behind the computer, touching on the content, networking opportunities and inspiration to be found on site at CES. DIGIDAY’s Brian Morrissey also attended the conference and provided daily reports on what most impressed media and marketing execs at CES. The day-by-day recap included thoughts about the role that mobile and other communications devices continue to play in connecting consumers to content. Executives from Organic, Mullen and Tremor Video were just a few of those who weighed in on CES action: Recap Day 1, Recap Day 2, Recap Day 3. Even though new technology wasn’t king at this event, Shelly Palmer, host of NBC Universal’s Live Digital with Shelly Palmer and other shows, offered highlights in the Huffington Post about technologies and the implications of “connected living.” Palmer flew high into the cloud, while homing in on the changing behaviors of today’s leading consumer electronics brands and efforts to create universal systems that work across devices. Now the question remains, will you be there next year?